Repair corrupted PNY USB flash drive .Learn how to upgrade PNY SK6226BA firmware .Download PNY SK6226BA format tool and fix your Pen Drive . 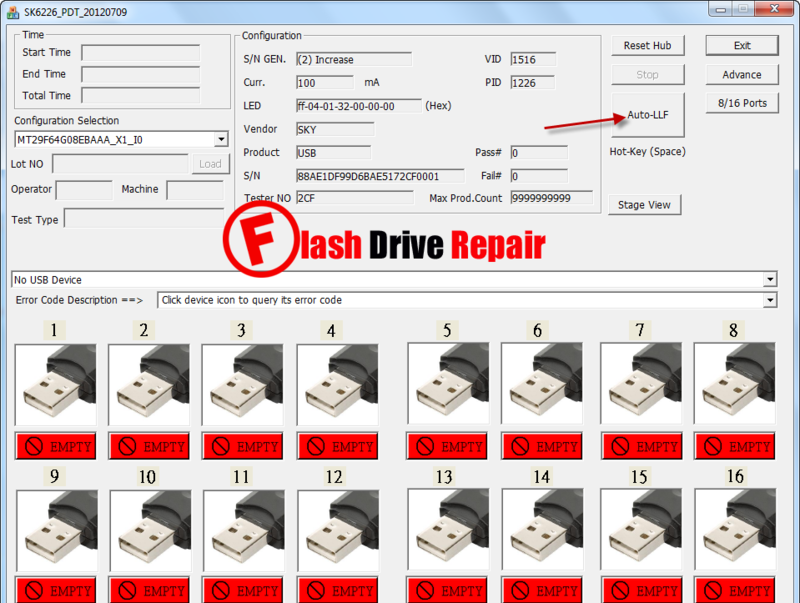 PNY SK6226BA format tool designed to repair and format PNY USB flash drive that have SK6226BA chip controller .PNY SK6226BA recovery tool allows to restore the original factory firmware for SK662BA.By using PNY SK6226BA format tool you will be able to format your Flash drive to factory default .Learn how to upgrade PNY SK6226BA flash drive firmware .Follow the next repair tips .You must take backup of your flash drive if you can do that . You must be sure that your chip vendor is SK6226BA by using chip genius report . Download PNY SK6226BA format tool from the download links in the bottom of this article . Insert your PNY USB flash drive to your computer . Open PNY SK6226BA formatter tool and if your flash disk is supported by the software , you will see flash disk information appear on the software interface . Click Auto LLf to make Low level format for your PNY stick . Wait until finish upgrading your PNY flash drive firmware . I have some problem to fix my disk.